We got what you want, we got what you need. 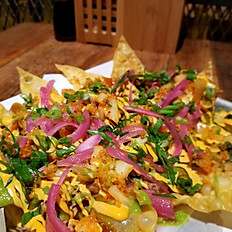 Kick off your weekend with us down at Mr. Wu's Basement (Level C of the Wyndham Garden Hotel) featuring late night snacks, god-level ramen by Shinka Ramen and Sake, and an expertly curated Japanese-centric drink selection by @jordonramsayy, all while catching all the feels from a nostalgic music video soundtrack orchestrated by Chinatown's only Video DJ, Time Travelin' Tommy. 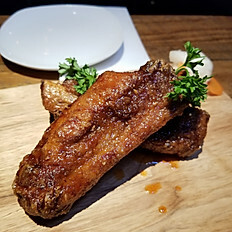 Fill up on amazing dishes such as Shinka's Pork Shoulder Ribs, braised till tender perfection and then fried to order to a crisp perfection and then brushed with signature honey-sriracha sauce, or the Asian-inspired Pulled Pork Nachos, soy-braised pulled pork shoulder dressed with spicy mayo, kimchi and yuzu salsa served on top of crunchy wonton chips. 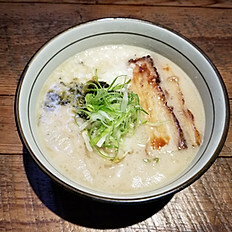 Shinka's signature 14-hour pork and chicken Tonkotsu broth envelopes chewy, thin noodles that make the soul happy. 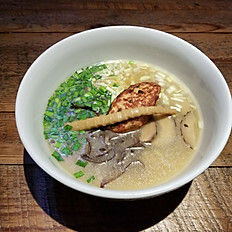 For a lighter take, the Shinka Chicken Shoyu employs a lighter, soy sauce-based broth and features bouncier, thicker noodles, two kinds of mushroom, green and golden chive, soy-braised menma, and a lean chicken tsukune (meatball). 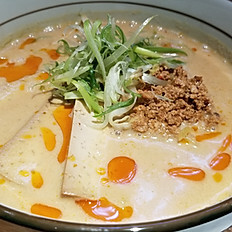 And for the best vegan ramen experience in the city, try Shinka's hearty Veggie Miso Soy Milk Ramen, an expertly-balanced, rich miso soy milk broth with braised tofu "chashu" and tantan bean curd. Experience our exclusive selection of Japanese whiskys, shochu and craft beer! We feature craft clear ice sourced from Hundredweight Big Ice based in Queens for whiskey on the rocks, old fashioned, and classic high balls for your imbibing pleasure!